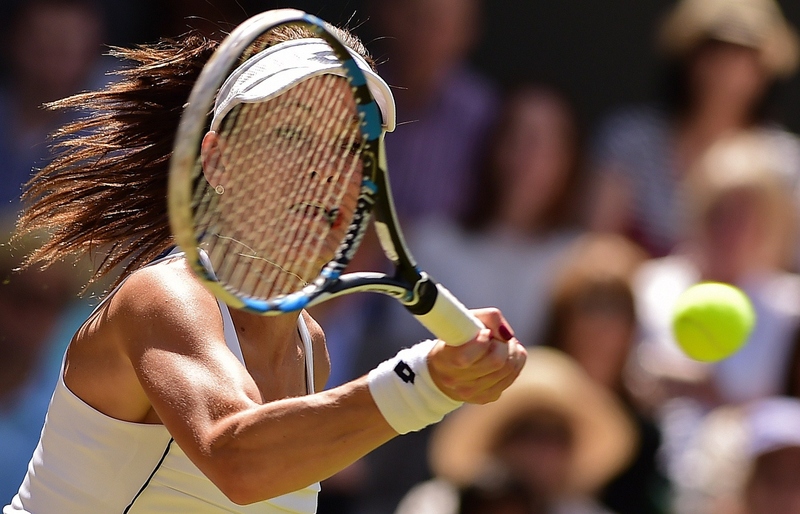 Jon Wertheim gives his thoughts on the Wimbledon 2015 women's semifinals results, as Garbine Muguruza defeated Agneiszka Radwanska and Serena Williams defeated Maria Sharapova. 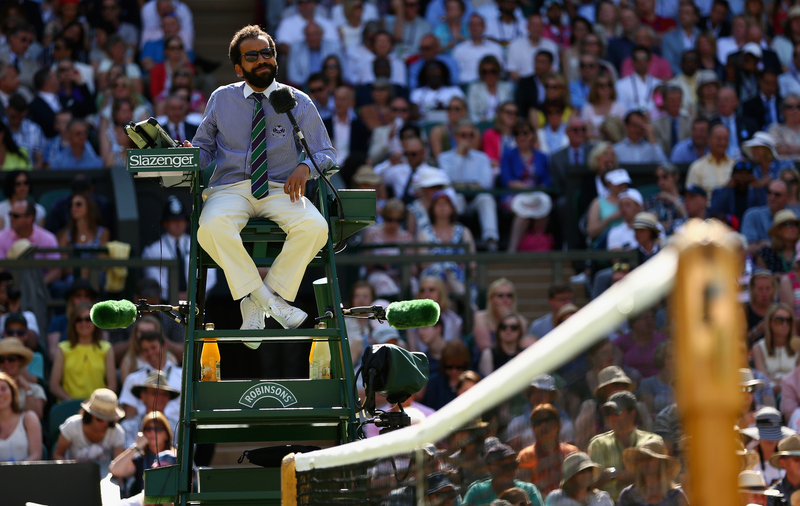 LONDON – Five quick thoughts on the Wimbledon 2015 women's semifinals, where Garbine Muguruza defeated Agnieszka Radwanska in the first match on Thursday and Serena Williams defeated Maria Sharapova in the second match. 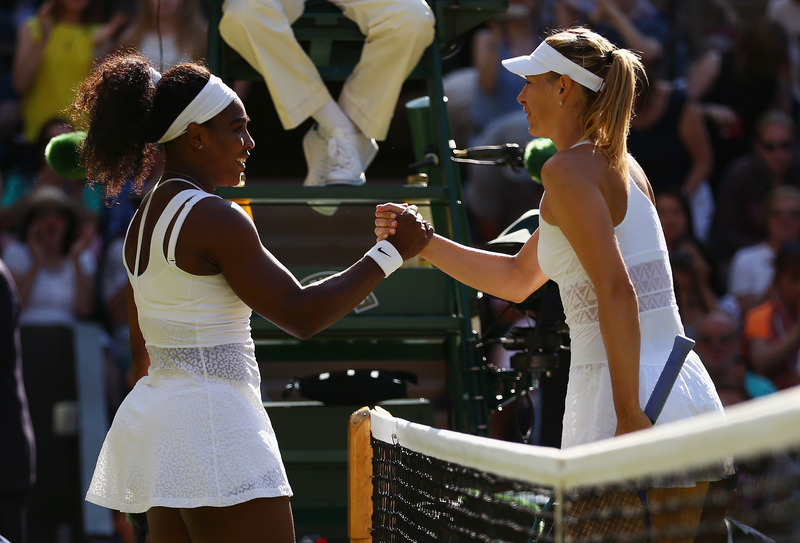 • One day, Maria Sharapova will snap her losing streak against Serena Williams, which now spans more than a decade. Eventually, she will solve the riddle and make small inroads against what is less a head-to-head record than foot-to-backside record, now standing at 2-18. She will see Serena across the net and bring to bear the same fighting instincts that she deploys against all other opponents. That day though, was not today. 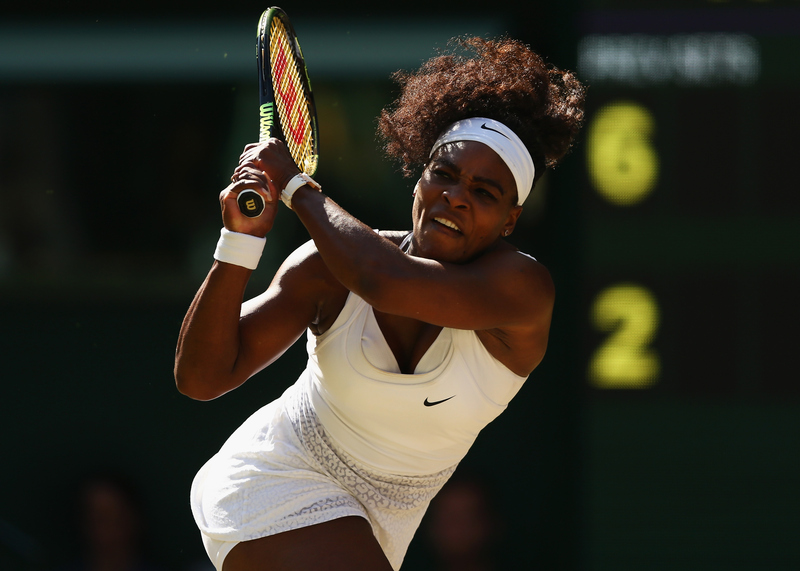 For whatever algorithm of skill and will that makes Serena Williams who she is, it starts with her serve. 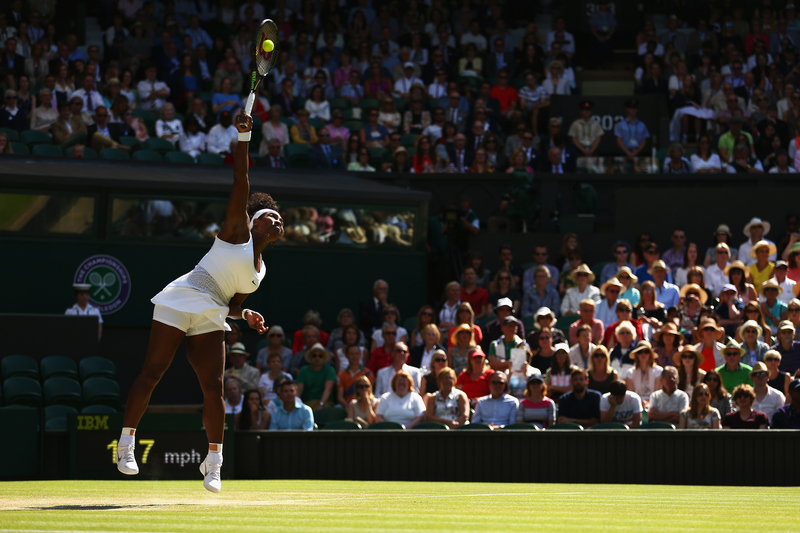 No player in the history of women’s tennis has commenced points with more force and accuracy. 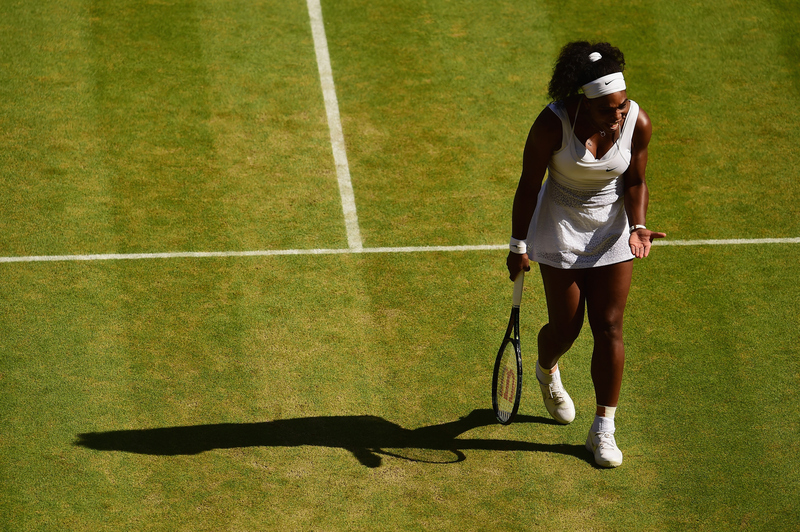 On Thursday, Serena beat Sharapova, 6–2, 6–4, in the Wimbledon semifinals, simply serving her off the court. Serena was on, hitting her spots, bombing 13 aces, winning almost 90% her first balls and facing zero break points. Sharapova was off, double-faulting, struggling with her vertiginously high ball toss and winning few second serve points. All the strategizing and talk of patterns during the rally? It wasn’t relevant when so many points were decided so soon. Unlike their entertaining match in Australia earlier this year, today there was little more to discuss. Fittingly, Serena closed it out serving three aces and an un-returnable service winner in the final game—it was the entire match writ small. • While Spain has enjoyed an embarrassment of tennis riches over the last 15 years or so—a welter of top players, Davis Cups galore, three Grand Slam champions, and, above all, Rafael Nadal—there was no comparable success on the women’s side. Now the balance is swaying the other way. In the same tournament that saw David Ferrer withdraw and Nadal get bounced in the third round, amplifying concerns over his future, a Spaniard on the women’s side played a scene-stealing role. 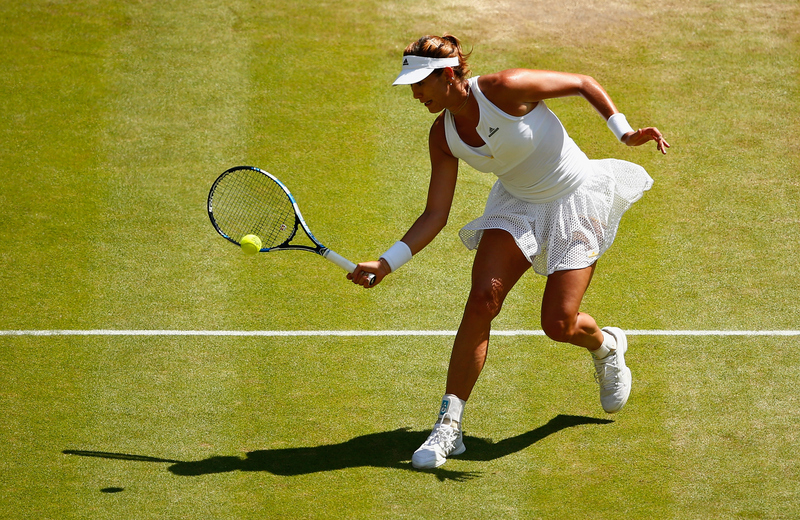 Garbine Muguruza, 21, reached the first major final of her career, beating Aga Radwanska 6–2, 3–6, 6–3, in Thursday’s first semifinal match. We’ve seen young powerful players embrace the moment and simply slug their way to the title. 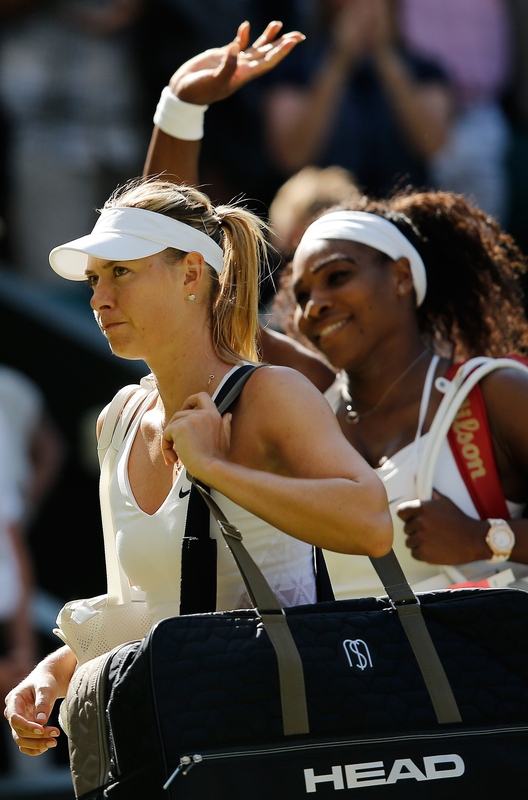 (Maria Sharapova’s defeat of Serena Williams in 2004 is one notable example among many.) But what was more impressive about Muguruza: she balanced her hard-hitting with some fight, battling back after squandering a 6–2, 3–1 lead. “It’s a dream to be in the Wimbledon,” she said to BBC as she left court. “But I really want to win it.” As a wise man once said: ¡vamos! 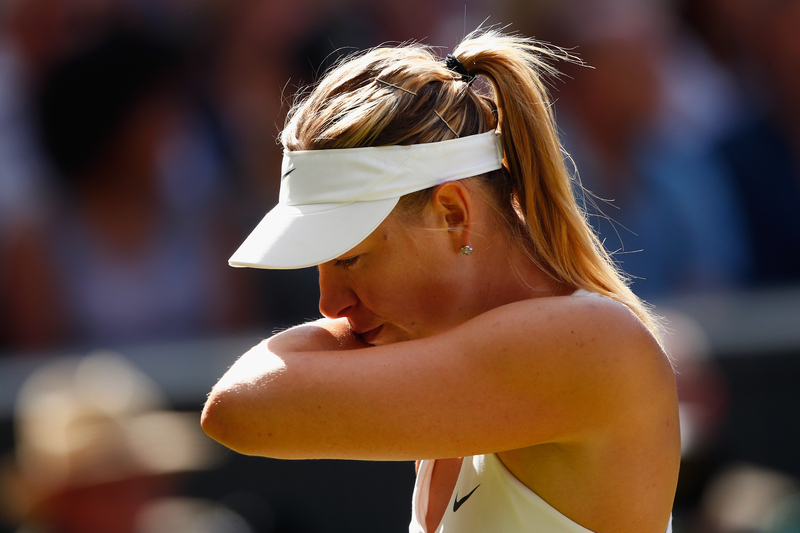 • One of Maria Sharapova’s great virtues: her love of the battle. She may purvey and convey glamour and elegance but as a sportswoman, she is a grinder, unafraid to dirty her hands and engage in tennis’ answer to back-alley brawls. Sure, she makes tens of million of dollars endorsing brands—far more than Serena. But if it were only about the money, she could retire tomorrow. No, Sharapova loves the battle, the competition. Which is why this streak—if you can even call it that; it has since grown a head and a tail—must be particularly devastating. Other players can (and do) say, “Too good,” and rationalize these ritual beat downs. Hey, life is great. I’m still this rich, global rock star. Not Sharapova. And this head-to-head business has become so imbalanced that it threatens to cut into Sharapova’s legacy as a player. 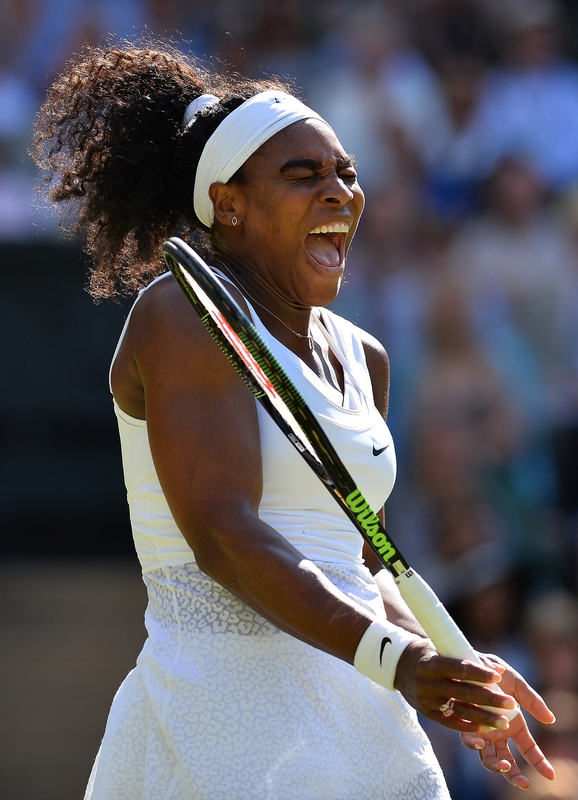 In Australia, she played a tremendous match and made Serena beat her. Today, she took a step back. 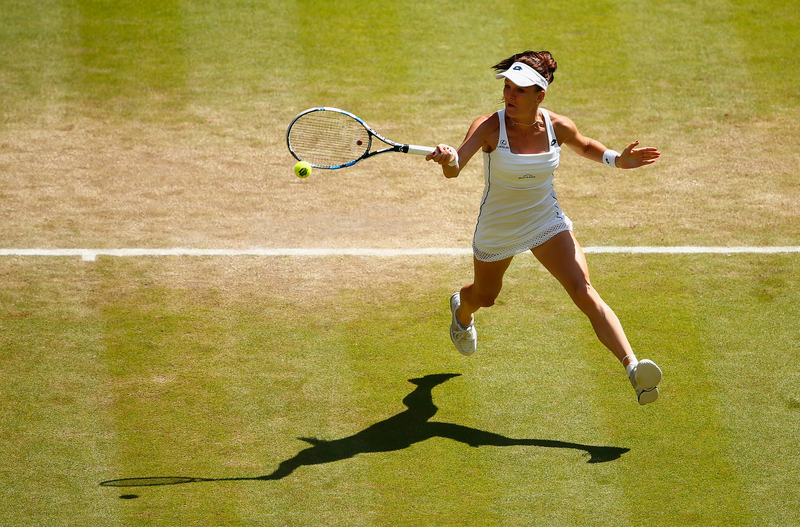 • What a strange day—check that: strange event—for Aga Radwanska. She is in the throes of a lousy year, at least by her standards. 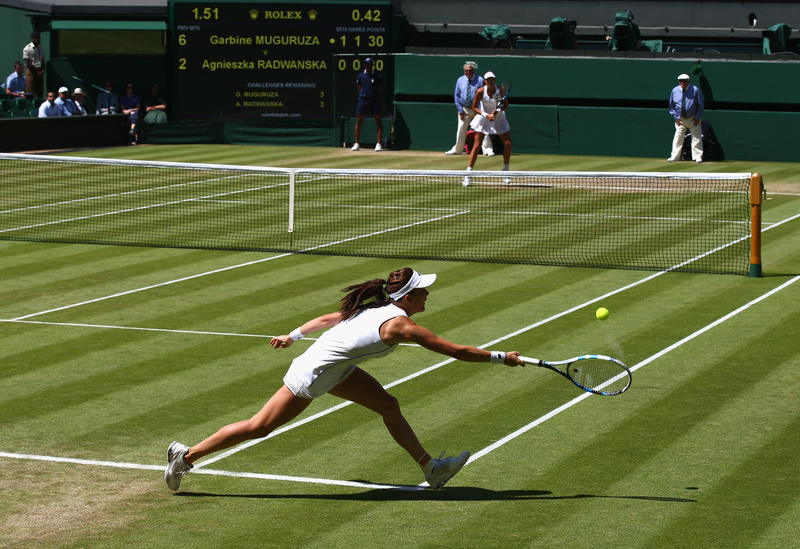 Then she plays five solid matches on grass to reach the semifinals, deploying terrifically effective defensive tennis. So that was good. Then, despite being far more experienced than her opponent, she played a nervous first set today. So that was bad. In the second set, she found her game, took advantage of some loose errors from her opponent and leveled the match. That was good. Then she retreated in the third set and let an opportunity slip by. That was bad. Tennis is better when Radwanska is in the elite ranks. You hope she builds on this event. But her joy reaching the Final Four this tournament is surely tempered by letting a winnable semifinal match slip away. • Serena Williams has been clear and adamant that she doesn’t want to discuss the Grand Slam and what she calls “the alleged Serena Slam.” But everyone else is free to discuss. Now holding 27 straight match wins at majors, she is one away from four straight titles. And then she’ll head to the U.S. Open next month the same way American Pharoah headed to the Belmont: one performance away from the ultimate box set in their sport. Usually when players are asked to make predictions, they defer. 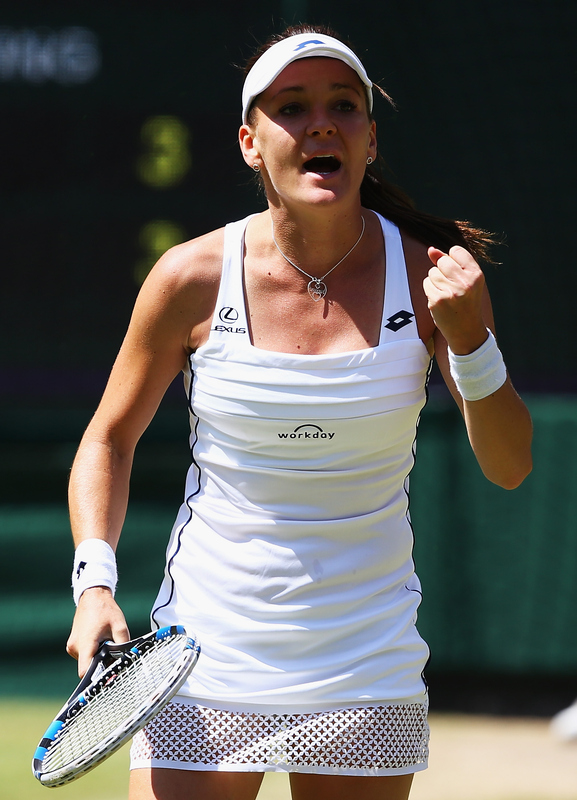 Here’s Aga Radwanska when asked if Muguruza can win Saturday’s final: “I don't think she can beat Serena in the final. I think Serena not going to let her do that, no, not in this tournament (smiling). But I wish her luck. It's going to be hard. If she [does] that, big respect.” That pretty much nails it.